The aerosol samples were collected from a high elevation mountain site, Nainital, in India (1958 m asl) during September 2006 to June 2007 and were analyzed for water-soluble inorganic species, total carbon, nitrogen, and their isotopic composition (δ13C and δ15N, respectively). The chemical and isotopic composition of aerosols revealed significant anthropogenic influence over this remote free-troposphere site. The amount of total carbon and nitrogen and their isotopic composition suggest a considerable contribution of biomass burning to the aerosols during winter. On the other hand, fossil fuel combustion sources are found to be dominant during summer. The carbon aerosol in winter is characterized by greater isotope ratios (av. −24.0 ‰), mostly originated from biomass burning of C4 plants. On the contrary, the aerosols in summer showed smaller δ13C values (−26.0 ‰), indicating that they are originated from vascular plants (mostly of C3 plants). The secondary ions (i.e., SO4 2−, NH4 +, and NO3 −) were abundant due to the atmospheric reactions during long-range transport in both seasons. The water-soluble organic and inorganic compositions revealed that they are aged in winter but comparatively fresh in summer. 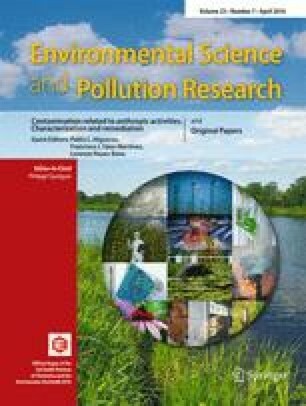 This study validates that the pollutants generated from far distant sources could reach high altitudes over the Himalayan region under favorable meteorological conditions. We appreciate the financial support of a JSPS fellowship to PH. C. M. Pavuluri is acknowledged for his valuable discussion and comments. We thank the NOAA Air Resources Laboratory for the provision of the HYSPLIT transport and dispersion model and READY website (http://www.arl.noaa.gov/ready.html) used in this publication.